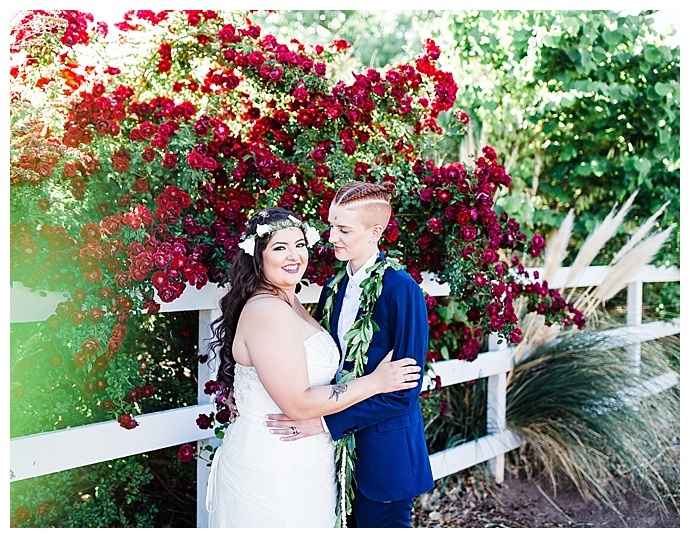 Pili and Sienna found their dream venue in an unexpected place — on Airbnb. 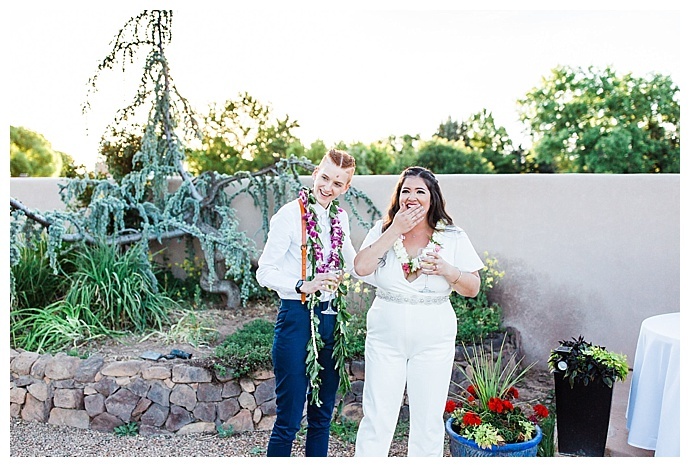 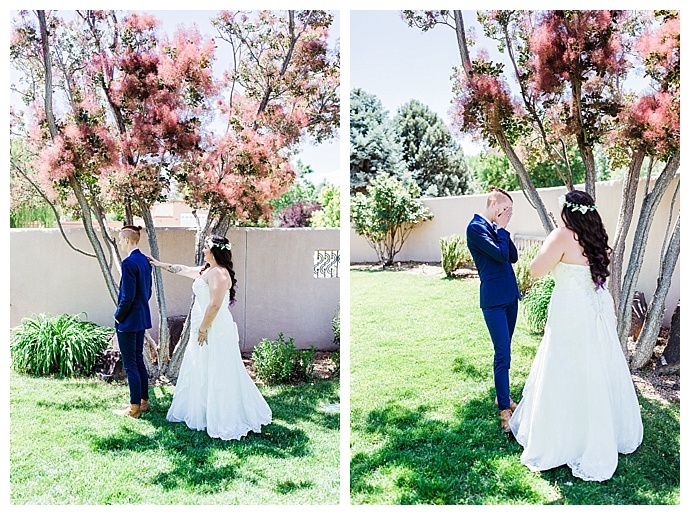 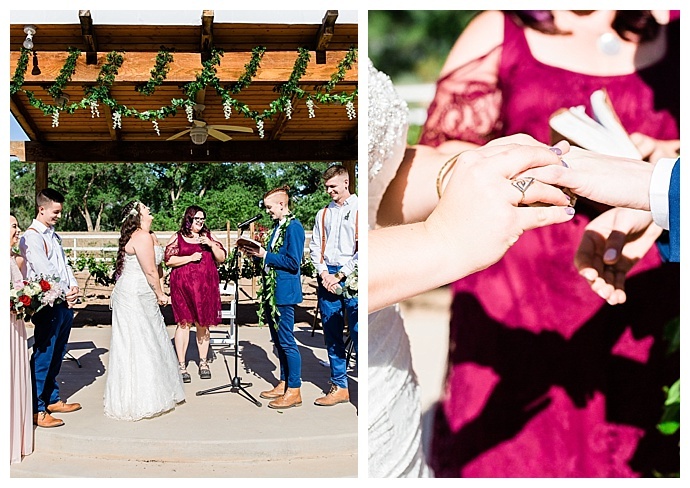 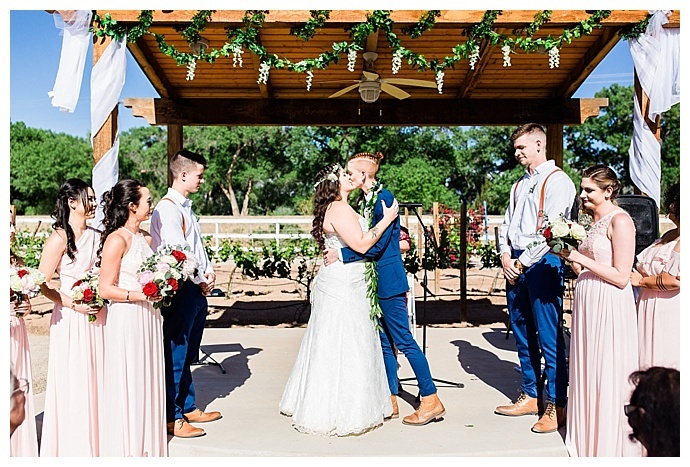 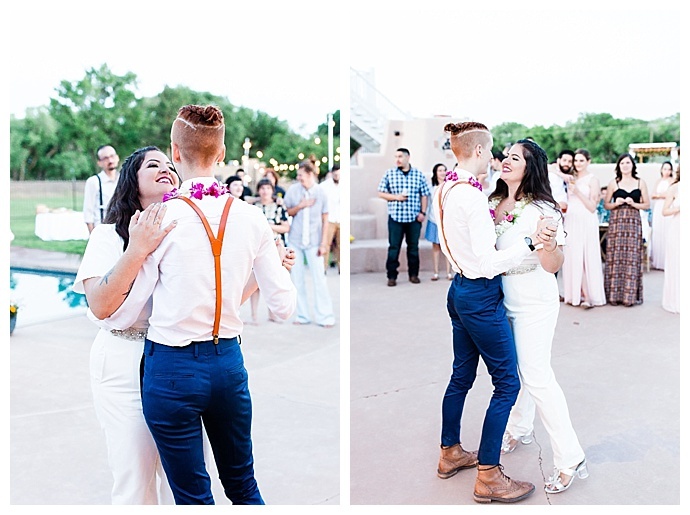 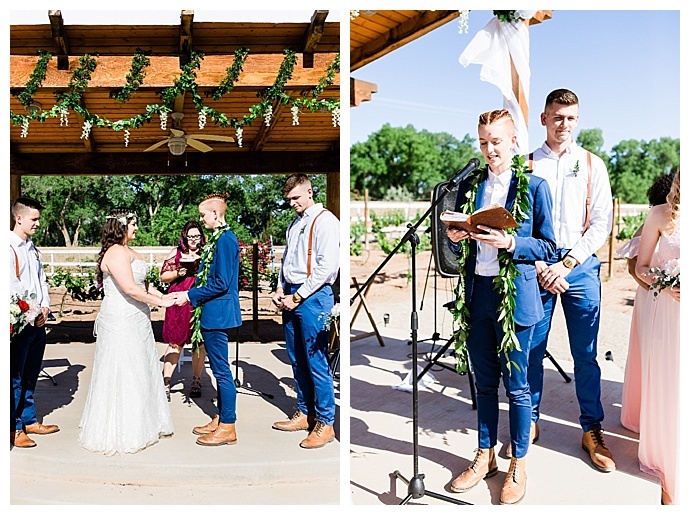 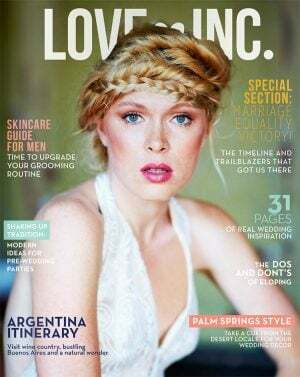 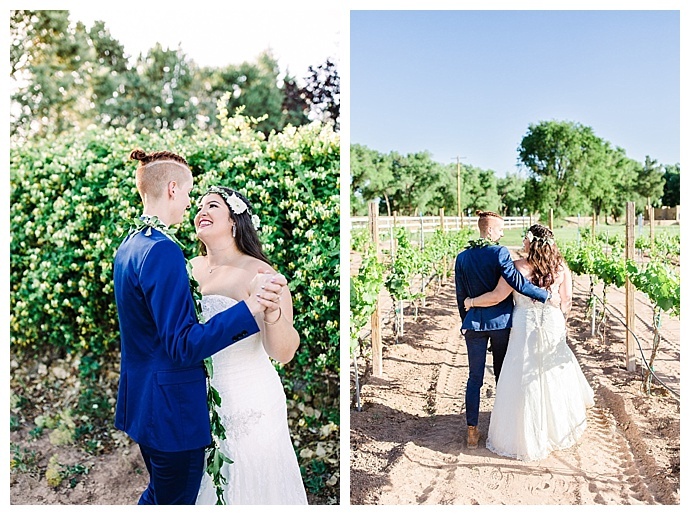 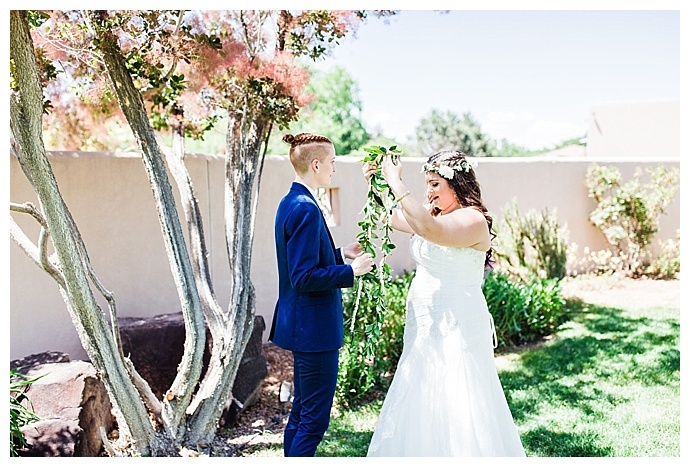 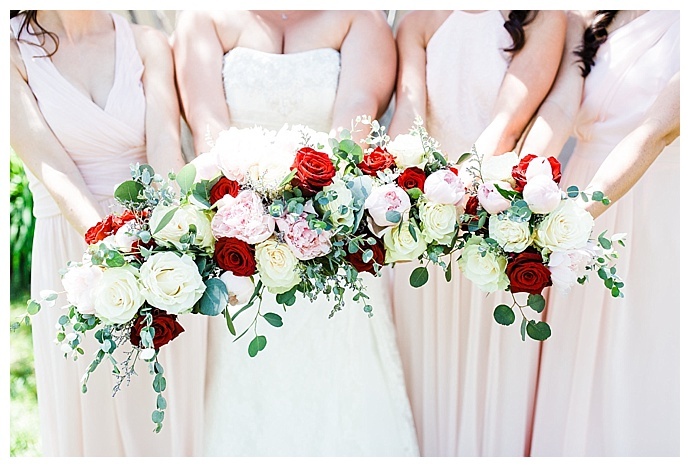 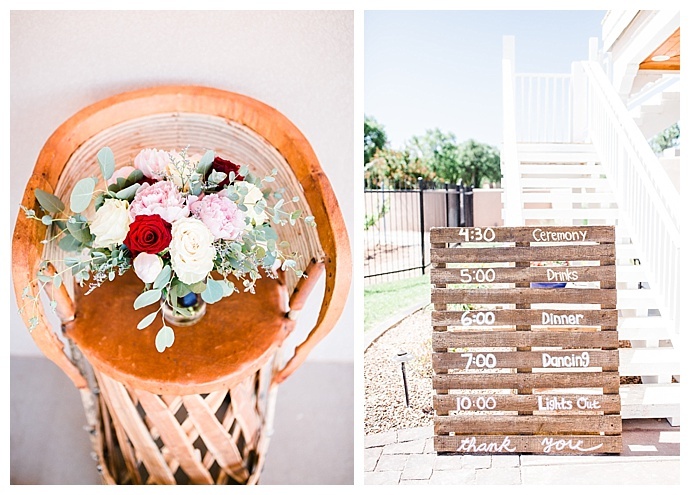 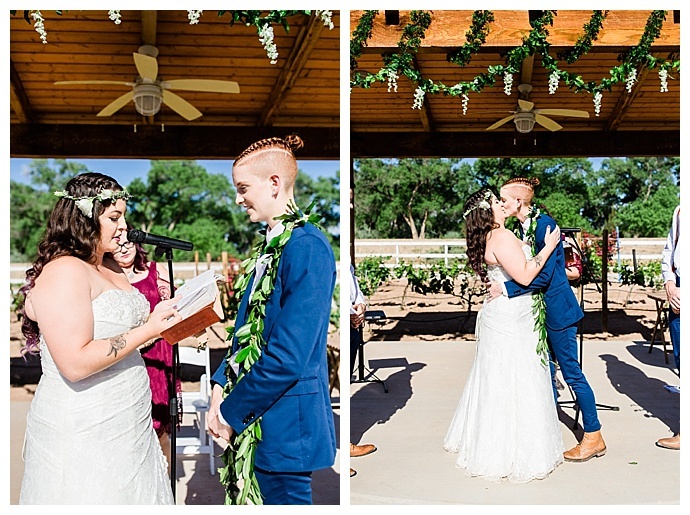 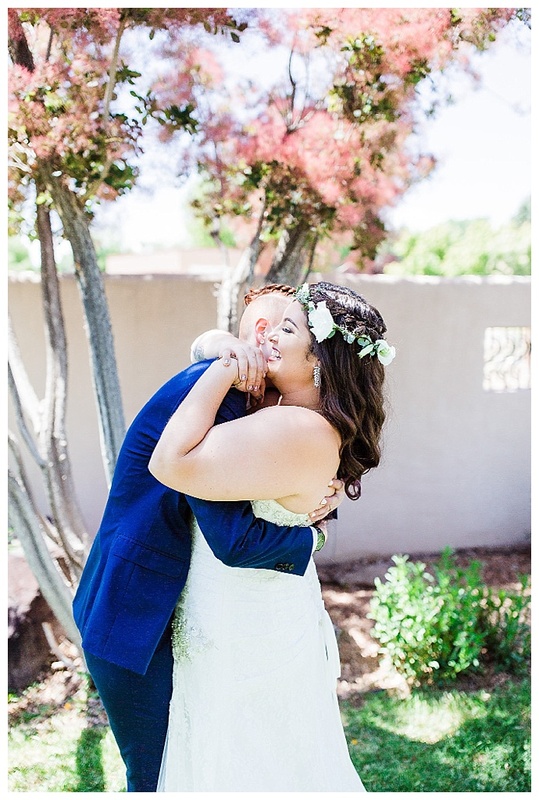 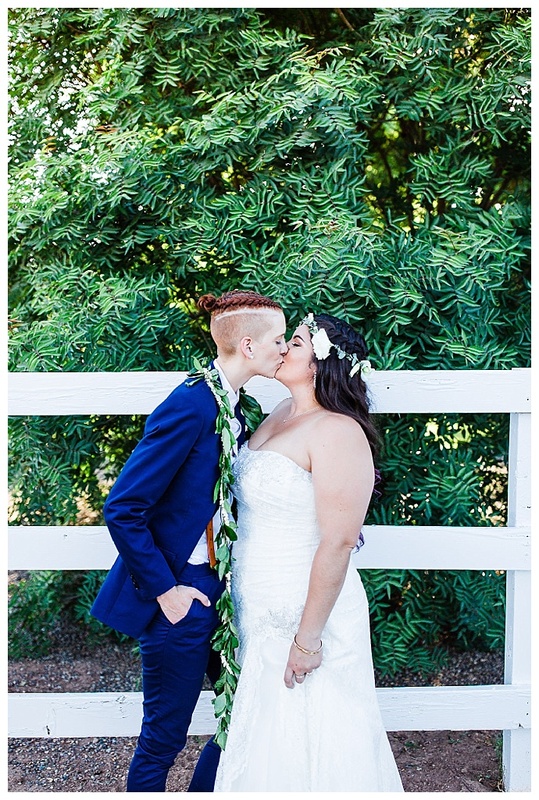 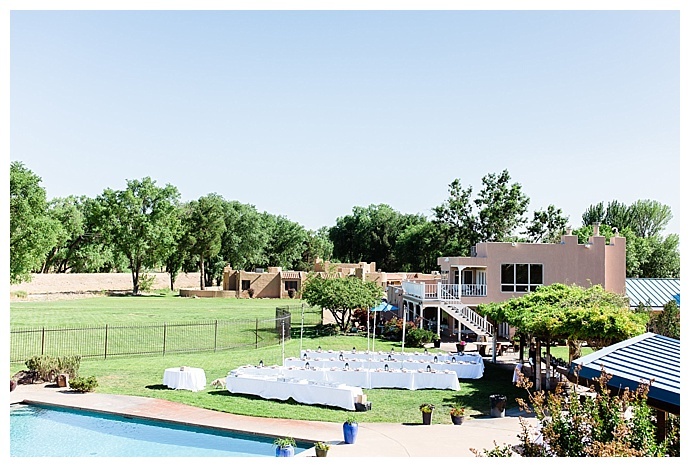 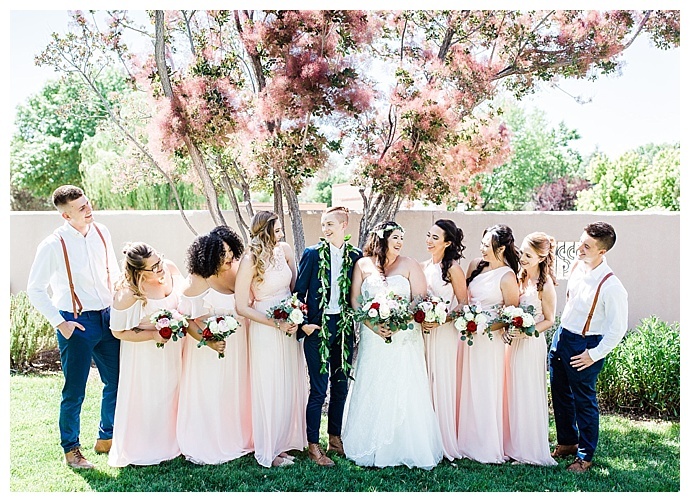 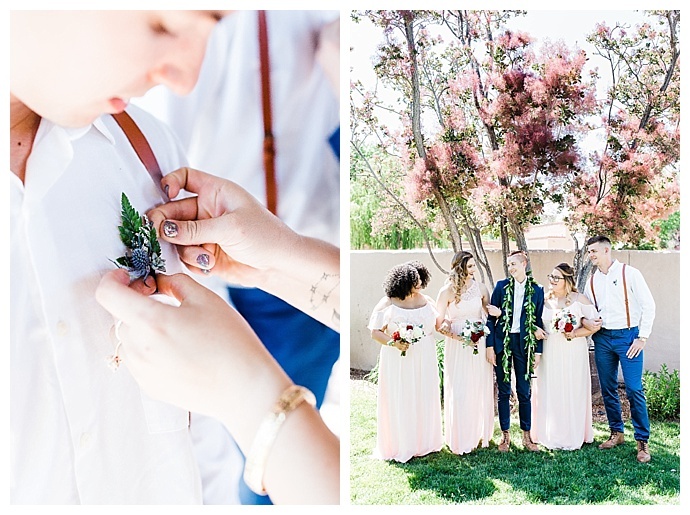 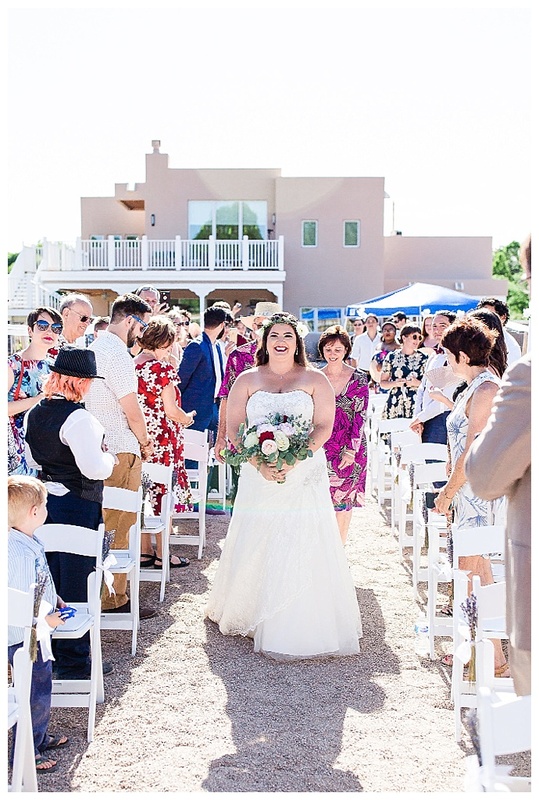 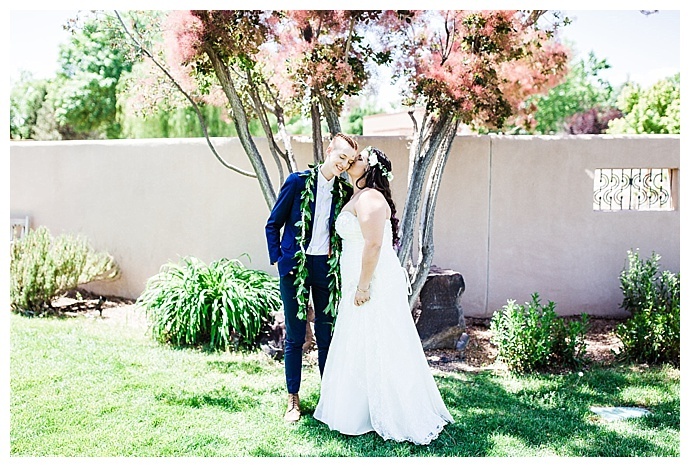 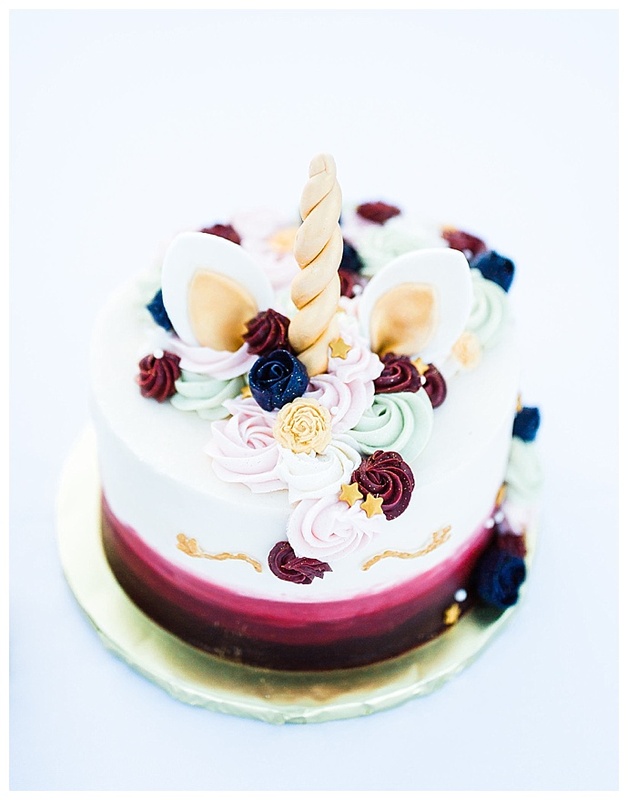 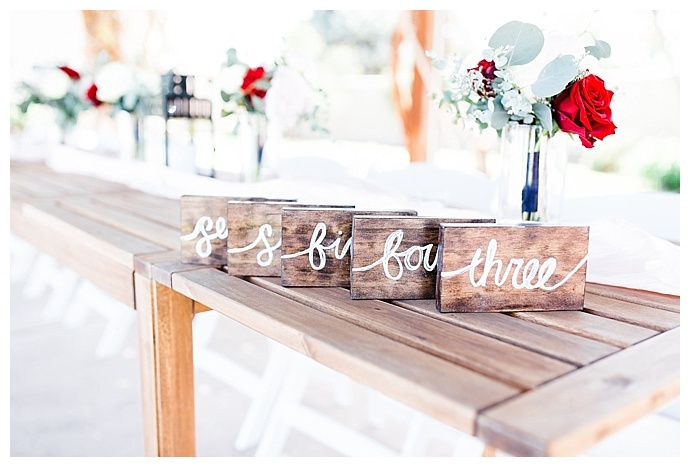 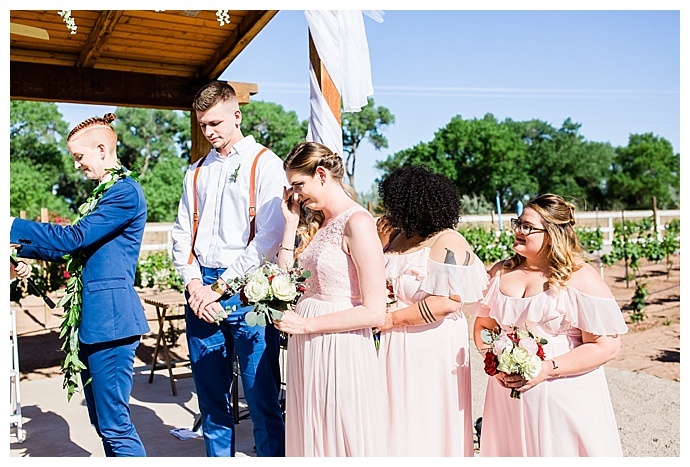 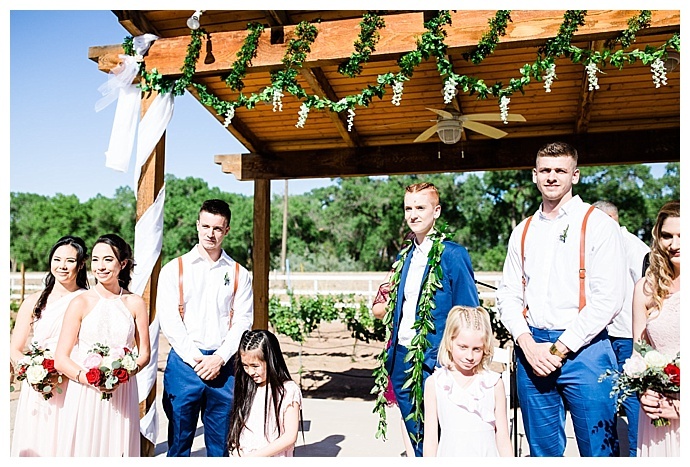 They fell in love with the charming and classic New Mexico feel and the vineyard in the backyard, and when the host agreed to let them have their wedding there, they couldn’t wait to celebrate with 90 of their closest friends and family members. 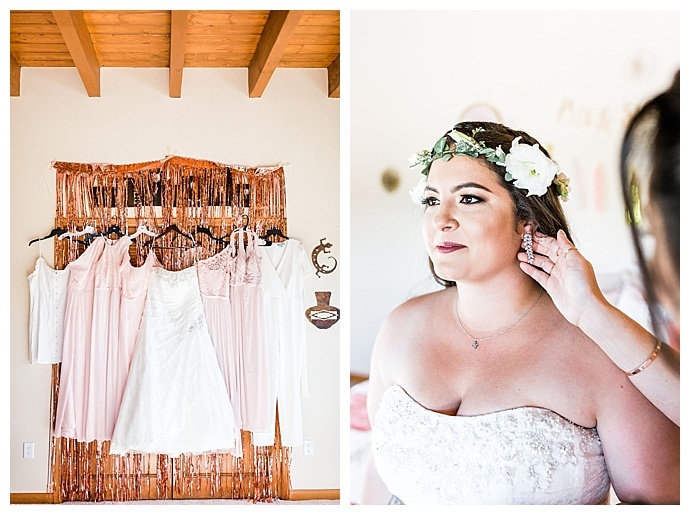 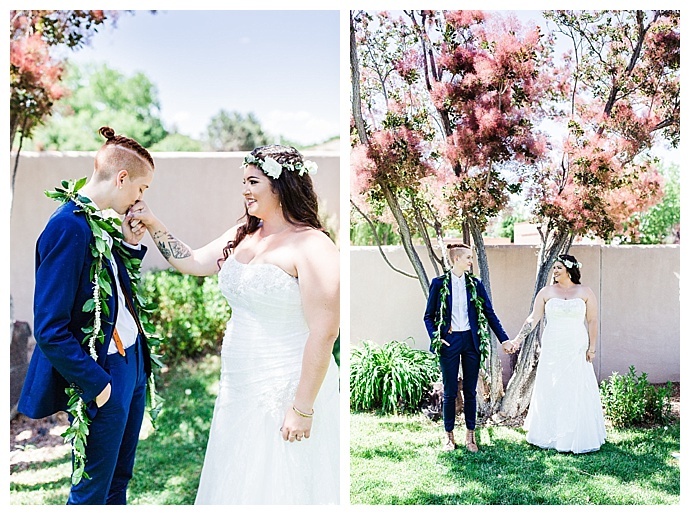 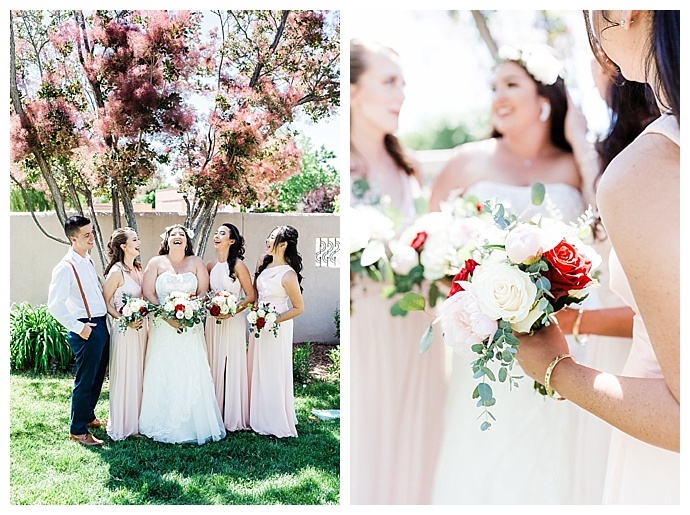 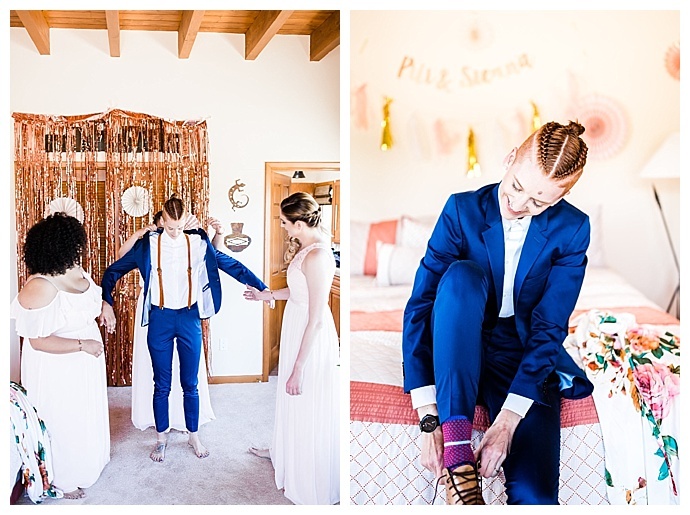 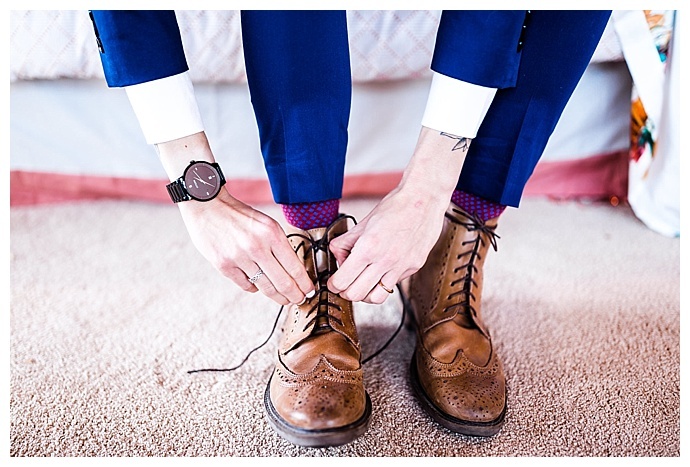 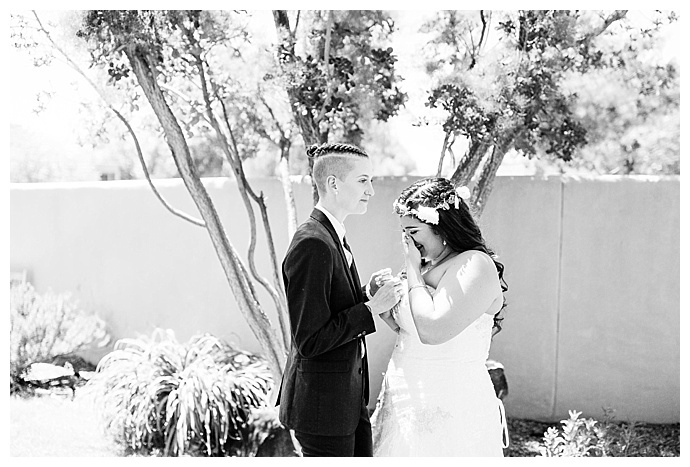 Love was in the air from the moment the brides started getting ready together to their last spin on the dance floor, and Chrisi K Photography was there to capture all the magic of Pili and Sienna’s sunny Albuquerque wedding. 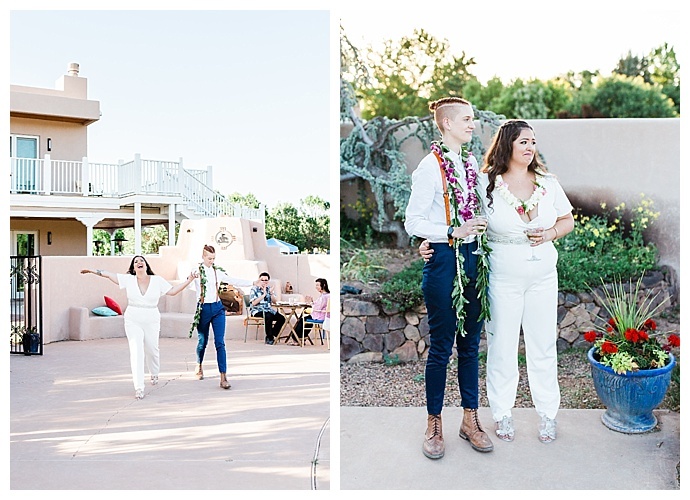 With Pili in Hawaii and Sienna in New Mexico, separated by the ocean and a four-hour time difference, it was difficult to keep in touch. 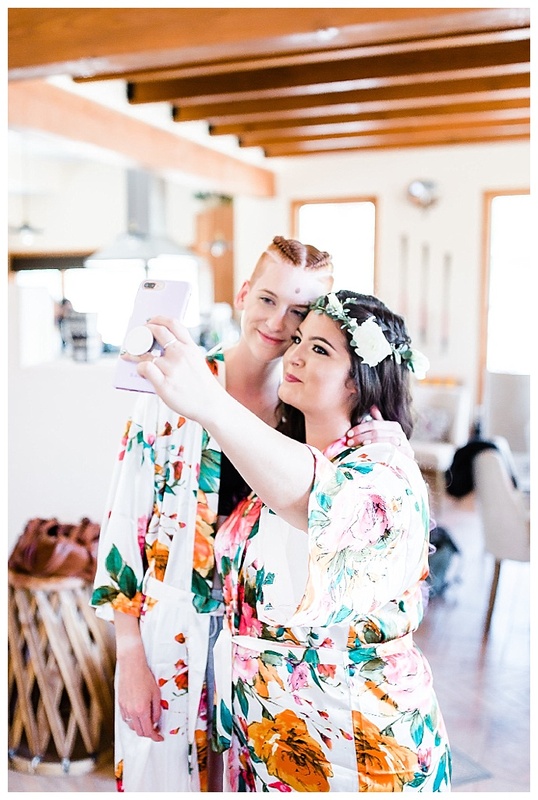 But when Pili was heading to LA for vacation, she couldn’t pass up the opportunity to reach out to Sienna, and as luck would have it, Sienna was in LA for the summer staying with her sister. 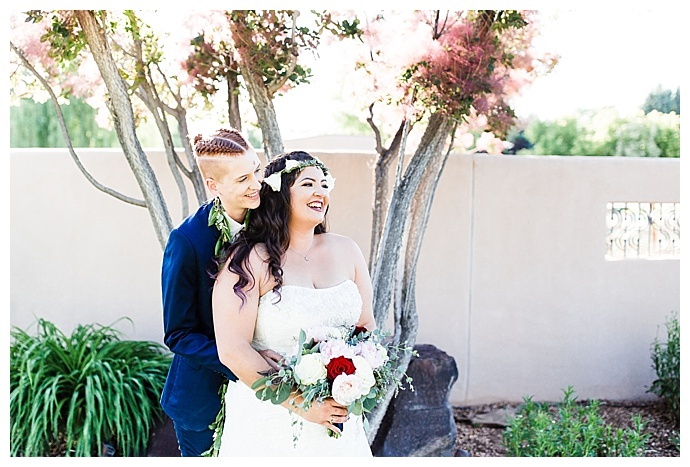 They reconnected over breakfast and a hike and quickly recognized that their connection was unique. 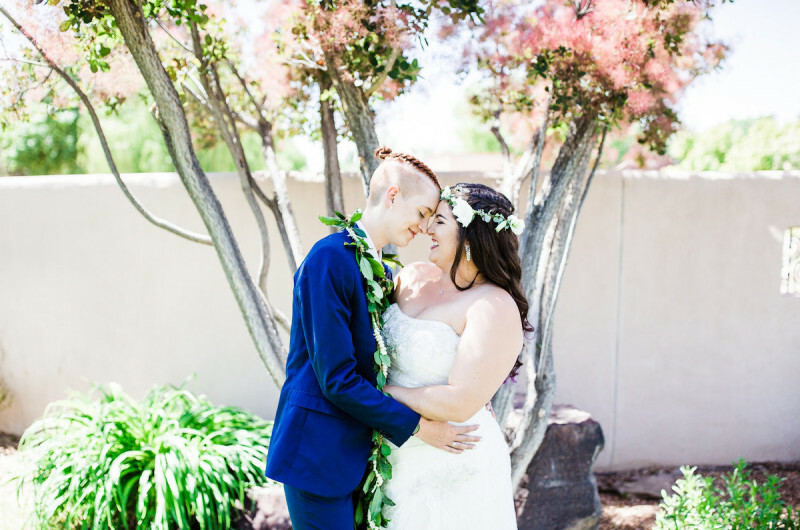 “I always said if I ever got a second chance, I wouldn’t let her slip away again,” Sienna says. 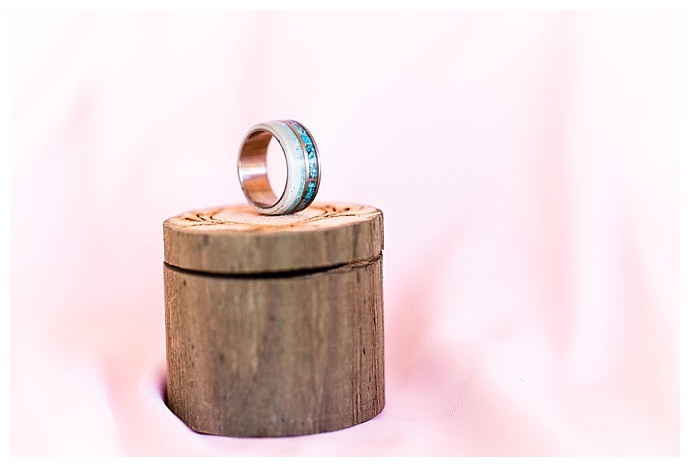 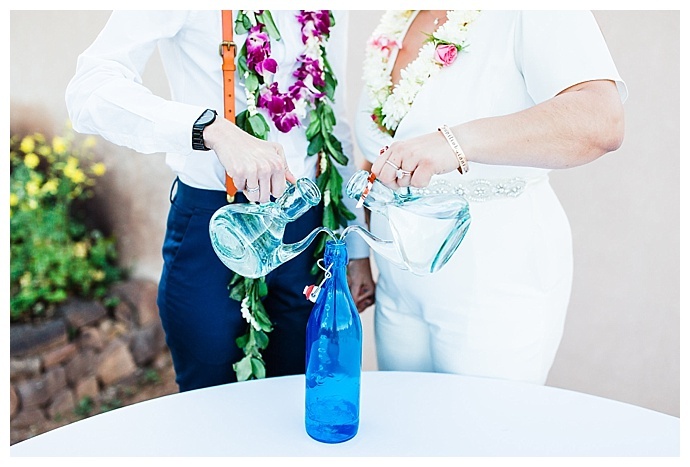 And only a few months later, Sienna flew to Hawaii to visit Pili for Thanksgiving and brought the ring that she had bought Jim-Halpert style, as she says, the first week they started dating. 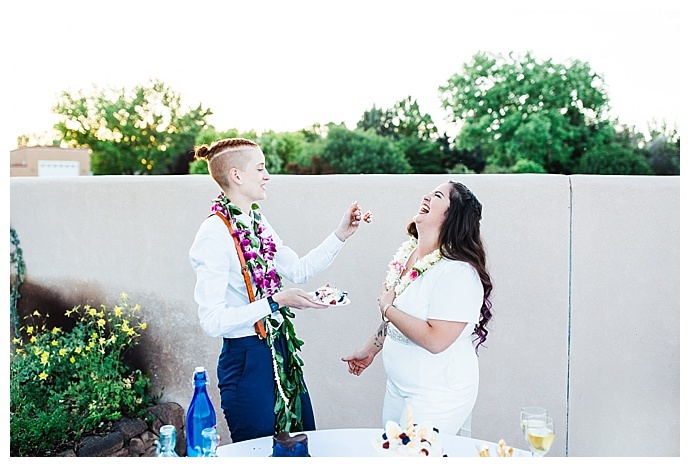 She proposed on an Oahu beach with a moonstone engagement ring as the sun was rising and asked Pili to be her wife for this life and the next. 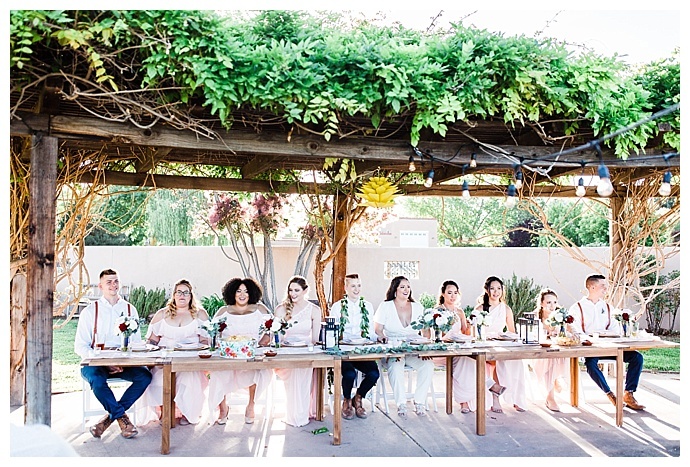 With the complete freedom to design a reception space that aligned with their vision, Pili and Sienna set up long farm tables on the lawn for guests and positioned the head table underneath an arbor crawling with vines. 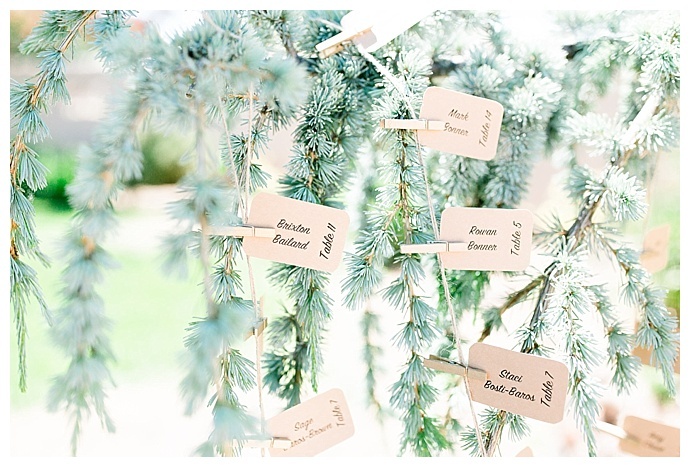 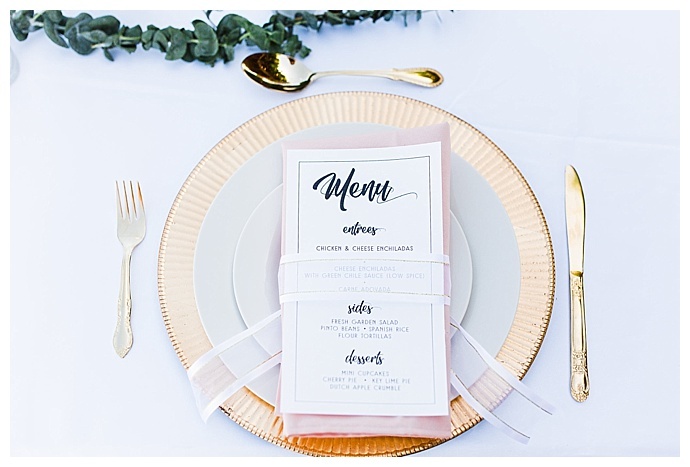 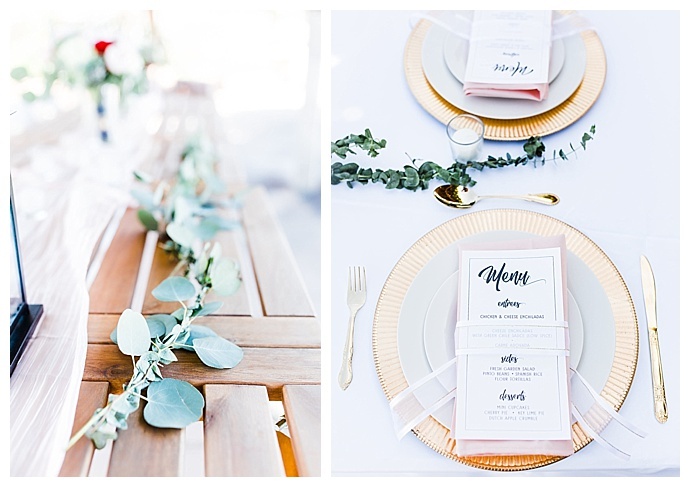 They strung Edison-style string lights across the yard and draped the tables in garlands of eucalyptus with tea lights sprinkled between place settings, and gold chargers and blush napkins added an elegant element to the design.